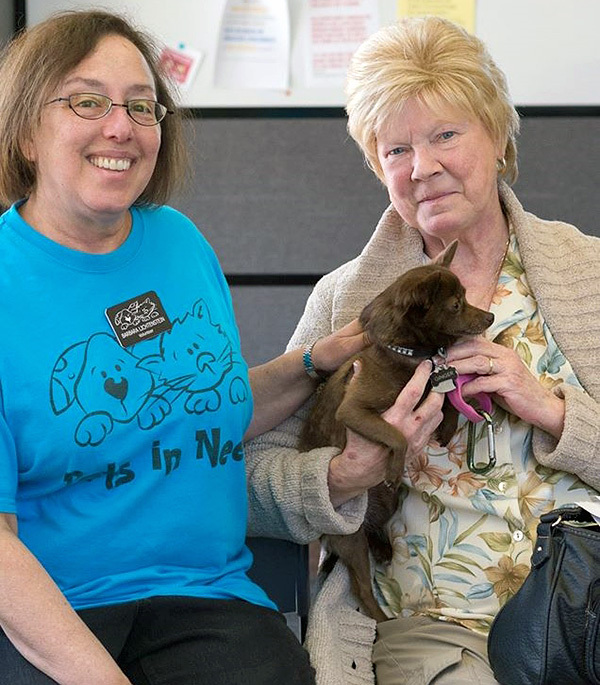 Pets in Need may be unique in its mission, but just like any other nonprofit, we couldn't operate without our volunteers! Our clinic is a wonderful place to work and we have THE BEST team of dedicated staff and volunteers. Please join us! Answer phones, greet clients in the lobby, unload and shelve donations of pet food, routine light cleaning and other duties to assist our Client Services Coordinator. Shifts are Monday through Friday from 10 am until 2 pm. Must be able commit to a minimum of one regular shift each month. Mow our little patches of grass, water plants, pull weeds, pick up trash in parking lot, simple repairs, etc. Do you have fundraising, graphic design, event planning, PR or marketing experience? If so, we need you! We always have a need for handcrafted items for our gift shop which is a fundraiser for the clinic. Preference is for items than can be priced at $5 or less. Can be for both pets and people. If you are interested in any of these opportunities, please fill out our Volunteer Application.